Welcome to our Newspaper Guide! 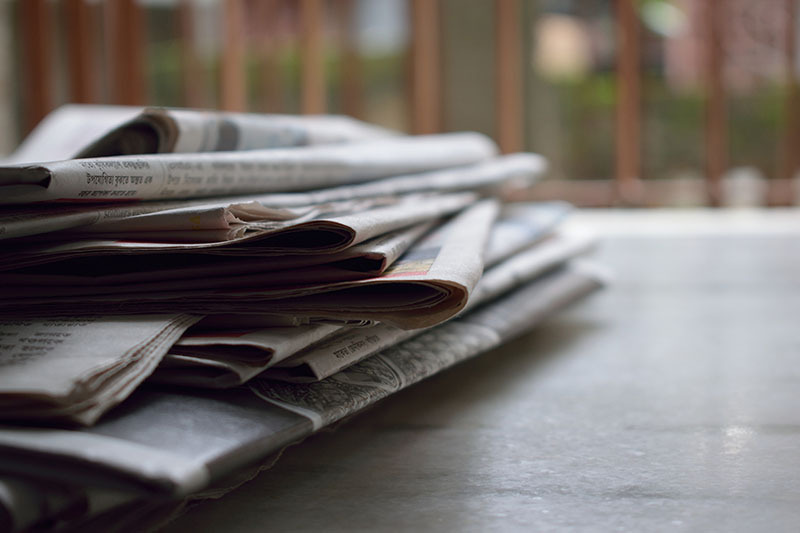 This particular page offers a variety of links and databases to current newspapers, from local Minnesota papers to national and international resources. You can find information about our physical collections and historical newspapers on the other pages of guide to newspapers at Memorial Library. Below you'll find links and databases to current newspapers you can find online! The following are links to local Minnesota newspapers. Please note that you may not be able to access all articles or issues through these websites. The following are links to various national newspapers and databases that contain national newspapers. Provides full text newspaper articles from many states and countries as well as news transcripts, which are mostly from major American news sources. Also provides citations and selected full text to legal materials, including federal code and regulations, state codes, tax law, and state and federal case law. Formerly known as LexisNexis Academic. Provides citations, abstracts, and full text to articles from over 240 "newspapers, magazines and journals of the ethnic, minority and native press....With an unequaled collection of articles, editorials and reviews from a broad diversity of perspectives, Ethnic NewsWatch is a valuable interdisciplinary resource. It provides information and opinions, often on topics never covered in mainstream publications, sometimes mirroring mainstream coverage, but with different and unique viewpoints." The following are resources for finding current international newspapers. (Formerly BHI: British Humanities Index) Provides citations and abstracts to articles in "internationally respected humanities journals and weekly magazines published in the UK and other English speaking countries, as well as quality newspapers published in the UK."